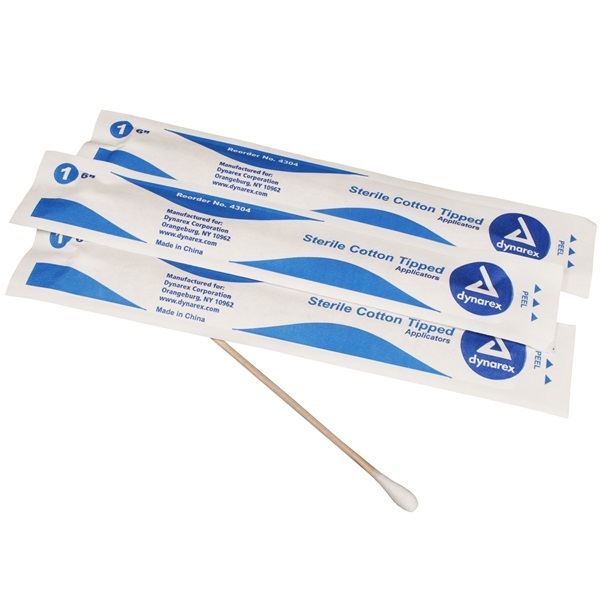 Sterile cotton tipped wood applicators that measure 6" in length. Packaged in a convenient peel-down pouch. Comes 1 per pack and 100 pouches per box. Used in patient care for wound care, application of topical dressings and for cleaning instrumentation. Bag is autoclavable with a colored autoclaving process marker, turning reddish pink to brown.